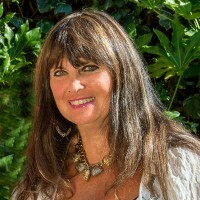 Caroline Munro is an Advisor to the Ray and Diana Harryhausen Foundation, having previously served on the Board of Trustees. Caroline’s career began with roles in Smoke Over London, G.G. Passion and Casino Royale. Shortly after these one of her photo ads got a screen test and a one year contract at Paramount where she won the role of Richard Widmark’s daughter, Ms Patten, in the comedy western A Talent For Loving. Later she played Victoria Phibes, Vincent Price’s wife in The Abominable Dr. Phibes and again in Dr. Phibes Rises Again. These roles in turn led to a Hammer Studios contract, and roles in such spine-tinglers as Dracula A.D. 1972 and Captain Kronos. She also played the roles of Princess Dia in The Earth’s Core and Bond girl Naomi in the Roger Moore classic The Spy Who Loved Me. One of her most memorable beloved roles is that of the female lead, Margiana, in Ray Harryhausen’s ‘The Golden Voyage Of Sinbad’ (1973). Ray greatly admired Caroline’s work and recorded a film commentary with her for the film in September 2012. Today Caroline is also in great demand on the convention circuit the world over for her iconic roles in cinema.